Getting the right piano matters. Each musician comes to their instrument with a unique set of skills and preferences. While a good pianist can make the most out of anything, you don’t want to settle. You want something that is more than comfortable. You want something that will elevate your playing and help encourage your improvements. Of course, that is what you want. But how does one go about getting it? By reading comprehensive guides like this one! Finding the right piano requires work and research, but who says that you have to be the one to do it? In this case, we did all the leg work for you. All that is left for you to do is relax and read your best piano keyboard reviews. Up first we have a piano produced by a legend in the keyboard game. Yamaha makes some of the best stuff out there, including the Arius. This unit finds itself on our list for mixing a high-quality cosmetic design with top tier performance. This keyboard has all the appearance of an upright piano. It is also equally equipped. You get the furniture caliber stand, a bench, and three pedals. The keys are also fully weighted to further improve on the effect. But moving away from cosmetic touches, it also plays very well. The sound engine is designed to reproduce the quality of a concert caliber grand piano. 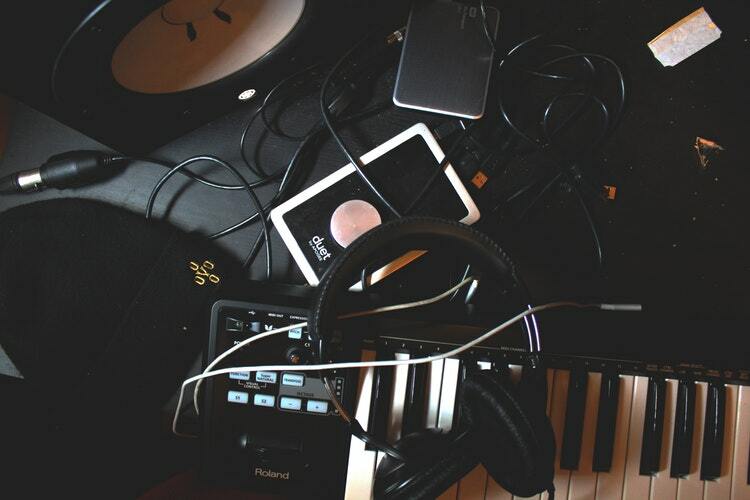 And of course, you also get all the benefits of any good digital piano. It comes with an onboard recorder, and fifty pre-programmed songs. We didn’t find a lot to complain about either. The texture of the keys are a little bit off. If you are expecting a true ivory feel you may be disappointed. Synthetic materials almost never completely replicate the real thing so this is no surprise. We also found that it is hard to assemble. If you aren’t handy, you may need to enlist help. That aside, it is a tremendous piano at a very reasonable price given the quality. Next up we have a Casio. This piano is a little bit simpler than the last that we saw, but it comes from another giant in the keyboard game. If you are looking for something that is a little bit more moderately priced, this will be one to consider. Though this keyboard is on the basic side, you get the features that count. It features two high-powered speakers, headphone jacks, and fully weighted keys. You also get eighteen pre-programmed piano tunes so that there is always something to suit the ear. The keyboard is also just extremely responsive. It features tri sensor technology that ensure it will pick up even subtle key strokes. The biggest issue that we noticed was the quality of the keys make. While they do look and perform like an acoustic unit, they do feature an issue that betrays their synthetic nature. Namely, the keys squeak. If you are just starting out this may not be a big issue. However, if you are an experienced pianist that demands perfection, this will probably get frustrating over time. 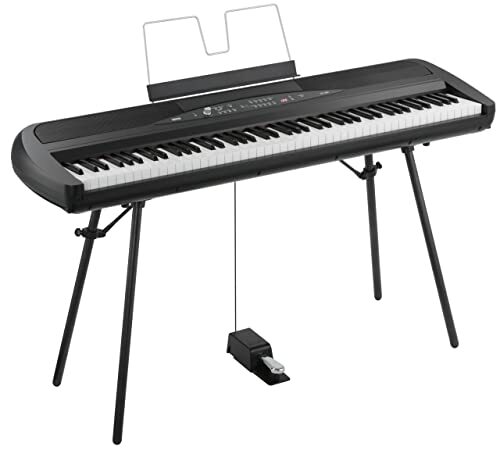 On the very opposite end of the price spectrum, we have the Roland Stage piano. This keyboard is pricey, but you do get what you pay for. If you are looking for pro quality sound with all the bells and whistles, this will be an option to think hard about. The Roland features a 128-voice polyphony for rich sound quality. It also maximizes your control over the playing process. The interface comes with eight knobs and nine sliders for the ability to adjust your sound in real time. This truly is a performers piano. The two separate sound engines put the icing on the cake. One sound engine is dedicated strictly to producing a pure, rich acoustic piano sound. The other is designed for accommodating additional sounds. We are talking a truly heavy-duty piano here. The interface isn’t only comprehensive, it is also very sturdy. Wood has even been incorporated into the keys. This both gives the keyboard a more realistic feel, and it makes the keys more durable. The only issue that we had with this keyboard is the price. This is the most expensive option we have seen so far. Like we said you do get what you pay for, but the cost may eliminate it as an option for many people. Next, we have one of the most affordable bundles you are ever likely to encounter. The Korg comes with a furniture quality stand, a bench, and three pedals. Of course, it also features a high-quality keyboard. You get eighty eight fully weighted synthetic keys that have been made to feel like the real thing. Understand that this is something of a beginner’s piano. There aren’t lots of sound effects—you do however get three different piano effects, and an organ. The overall sound quality also isn’t superb. There is an electric quality to some notes that fail to live up to the purity of an acoustic. Really, these sound like worse criticisms than they actually are. Most casual pianists won’t notice. If the piano is a hobby for you rather than a passion, this is an opportunity to get an affordable package. We continue on with a more moderately price bundle from Casio. This piano comes with a furniture stand, a bench, and three pedals, just like the last option that we saw. It also features fully weighted keys, and instructional materials that provide beginners with basic instruction. Understand, of course, that this is also a more basic setup. The high-quality features that Casio is known for are not necessarily all present here. You get their basic, staple features. Responsive keys with tri-sensor technology. High quality speakers, and even an attractive design. The short of it is that if you are looking for a basic, affordable keyboard, this should be a top contender. Do realize going in that it is not without issues. One thing we noticed is that the furniture stand gets beat up easily. If you have pets, or even young children, you may find that it is susceptible to cosmetic damage. There is also the issue of value to consider. The price is actually decent, but if you spend a little bit more you can get something with lots more features. These things aside it is a high-performing system that many musicians will love. Up next we have another option from Yamaha. The P71 is a bare bones package that forgoes the pedals, stands, and benches. You just get the keyboard itself here. However, the price is right, and so are the features. The P71 includes the weighted keys one would expect from a high performing keyboard. You also get ten different voices, and the ability to combine them at will using the dual play function. The ability to combine tones fosters creativity, and furnishes more richness to your playing. It’s also just easy to use. The simple interface doesn’t include lots of features, but beginners will have no trouble adapting to it. If you are just starting out and you want a high-quality keyboard to learn on, this is a great option. Simplicity aside, the biggest issue that we found was the in the keys. While they are made to look and feel like the real thing, they don’t quite perform that way. We found that for fast paced pieces, they tend to make a clicking sound. For the price, it isn’t exactly surprising, but it is a little bit disappointing. Up next we have a true furniture piece. In fact, from a distance, we would wager that most people wouldn’t be able to distinguish it from an upright acoustic. To further enhance the illusion, it also features wooden keys that will look and feel like an acoustic keyboard. It’s also very versatile. You get 192 internal sounds, 22 effects, and 29 pre-programmed songs. And, of course, it also just features a high-quality sound system that will really enhance the music that you play. Of course, as is the case with all of the pianos that we have seen here, the CE220 is not without flaws. For one thing, this is on the pricier end of the spectrum. On its own right, this is not necessarily a big deal. After all, there are different pianos out there for different budgets. We mention it because if sound quality is your top concern, you can get something similar for less. The high price seems mostly attributable to the wooden keys, and the stand. The stand is actually where we find our other issue. For the most part, it is high-quality, but like some of the others we have seen, it is a little bit vulnerable to cosmetic wear. 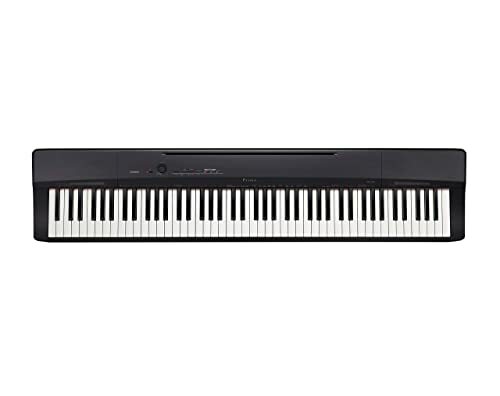 The Korg SP280BK is a straightforward, moderately priced option that produces beautiful sound. If you are a traveling musician, you will find plenty to like here. The frame is lightweight and compact, and the sound is performance level quality. It also comes with a low-profile stand that will be easy to transport. Lastly, it’s fitted with a stereo output to accommodate the external sound sources that are necessary for a stage performance. The biggest issue that we noticed was the onboard speakers. If you are playing for practice they will be fine. However, if you are looking for anything more than that, you will need to invest in external speakers. Some users even report that they blow out fairly easily. However, to be fair, this is most likely a manufacturing error exclusive to a small batch of pianos. Still, it is something to look out for. 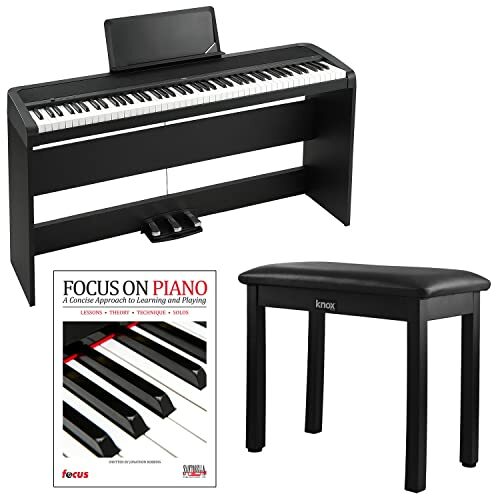 These things aside, it is a good piano at a good price. If you are a traveling musician that doesn’t mind external speakers, you will find plenty to like here. Here we have another furniture piece from Korg. The LP380-88 features a comprehensive package at a pretty decent price. For your money, you get a black, furniture stand, and three pedals. The nice thing about this unit is that, in addition to featuring a furniture design it is also low-profile. It looks nice, but, thanks to a slim design, it won’t consume the entire room. It also features a high-quality weighted keyboard, and thirty different sounds. Using the Korg “layered playing,” you can even combine sounds for richer playing. For the price, it is a really good piano. However, it is worth noting that the speakers do struggle with louder playing. It seems that when you try and make the most of the volume, the sound becomes distorted. Serious pianists are naturally going to have a problem with this con. However, if you can live with the con you will get a mostly good piano, at an affordable price. Last, we have a portable piano from Kaway. The ES110 features a lightweight frame, and low-profile design that will make it easy to take to your shows. And given the quality of the sound, you will certainly want to take it. The eighty-eight weighted keys can produce nineteen different sounds that are richly produced by a high-quality speaker system. Lastly, you get 192-Note Polyphony for rich sound quality. One thing that we did notice was that the key interface is a little bit off. The keys are heavier than you will find with most pianos. If you are coming from the world of acoustic, this will be an adjustment. On the other hand, if you need to be able to easily transition into acoustic, it may also be a hurdle. Keys aside, there is little to complain about. 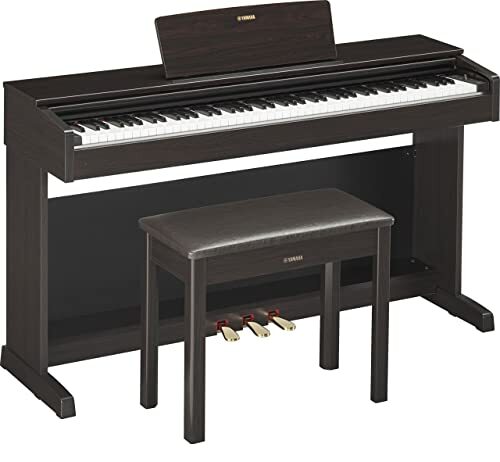 There are pianos that can do more, but for the price, you get plenty of high-quality features. Acoustic pianos are often put on a pedestal. And for good reason. This instrument has been around for centuries, and it has been responsible for some of the greatest music ever written. But that doesn’t mean that there isn’t room for improvement right? There are lots of benefits to going with a digital piano and today we will explore some of them. More often than not, digital pianos are more affordable than the acoustic alternative. 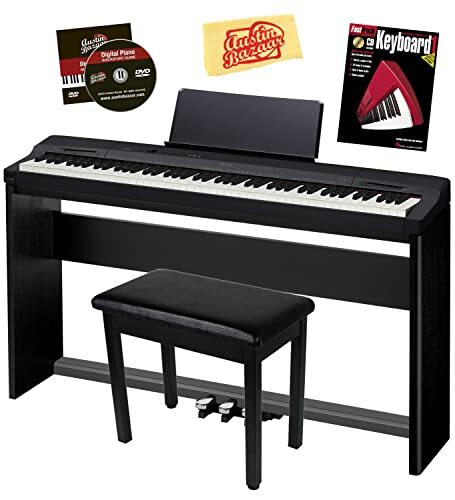 This is not to say that every digital piano is more affordable than every acoustic piano. 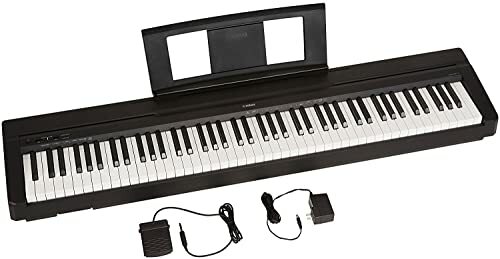 However, in situations where all things are equal (i.e you are deciding between an acoustic piano and a digital piano that are of the same quality) the electric unit is usually more affordable. Granted, this is not always the case, but it certainly often is. Electric keyboards also have the benefit of being basically maintenance free. Being without strings, there is no need for regular tuning. Not only does this ensure that they will play at the same level of quality forever, but there is also a money saving component. 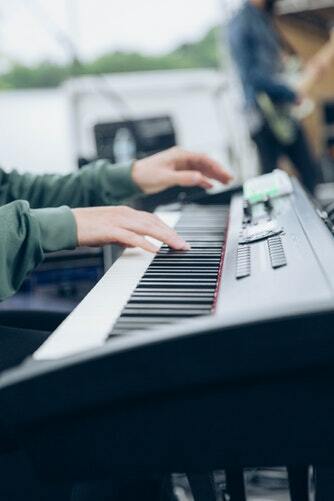 Unless you know how to tune an acoustic piano yourself, it requires the touch of a professional. Getting the piano tuned isn’t exactly cheap, especially not overtime. The money that you save not getting your keyboard tuned will add up quickly! Electric pianos also enjoy a level of versatility that other pianos simply can’t come close to matching. Many higher end options come with dozens of sound effects. They might feature an onboard recording program, and even pre-programmed songs that will help you learn the instrument. Simply put, these are features that you just aren’t going to get with an acoustic piano. Now you know what is out there. You even know what it is that makes electric keyboards special. But maybe you still aren’t so sure which one you should buy. Maybe you don’t even know exactly what you should look for in a keyboard. If this is the position that you find yourself in, don’t sweat it. 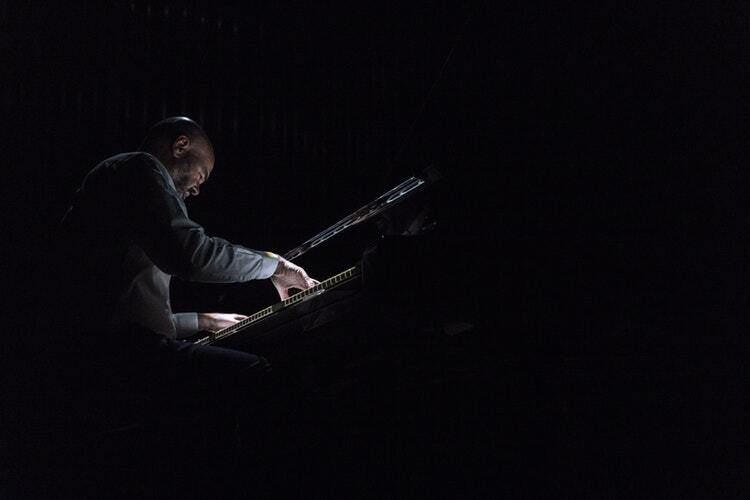 Pianos, both digital and acoustic, are complicated instruments. There are lots of factors that go into finding the right one. That in mind, we will now touch on some of those factors to help aid in your buying decision. 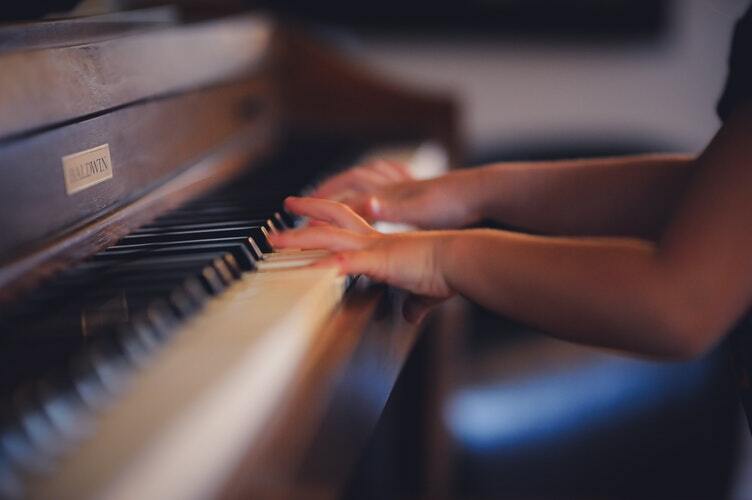 Read on for a buyer’s guide to finding the best piano keyboard! If you are living in a tiny apartment, you probably are not going to have the room to accommodate a full sized piano. If that is your situation, it is totally fine. You can still key a piano that produces beautiful music, and fits snugly on your dining table. Good electric keyboards come in all shapes and sizes. Whether you are trying to fill a room, or take up as little space as possible, there is an appropriate option out there for you. On the other end of the spectrum, there are also electric pianos out there that can be décor pieces. Many people think that when they decide to go digital instead of acoustic, they forgo the possibility of getting something that will look good in their house. This does not need to be the case. There are plenty of electric keyboards out there that serve as furniture pieces as well as high-quality instruments. There are even electric pianos out there that are designed to look like grand pianos. Not to beat a dead horse here, but when we say there is an electric piano out there for everyone, we really do mean it. Good electric pianos can range in price from several hundred dollars, to several thousand, to even beyond that. What price range you end up falling into will ultimately depend on what you are hoping to get out of the piano. If you are just looking for something to learn and practice on, there are lots of affordable options out there. If you are a pro, you may find yourself on the higher end of the spectrum. However, the good news is that even shoppers on a tight budget are going to be able to find something to suit their needs. Maybe you are a traveling musician. 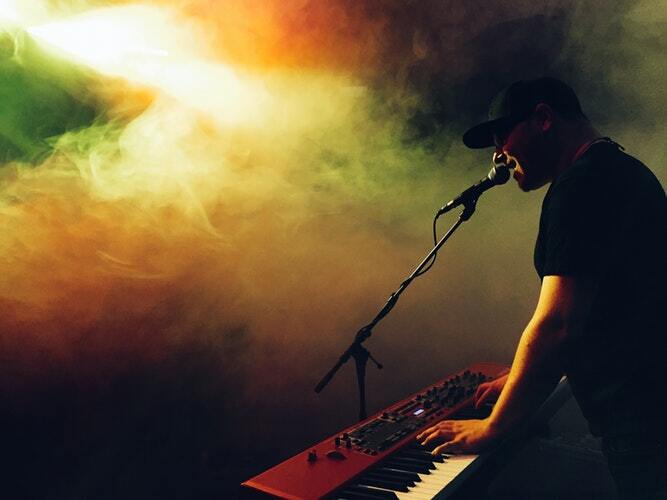 If so, the electric keyboard is the perfect instrument for you, but there are extra factors you will need to take into account. Some of these factors are obvious. For instance, you are going to want to get something that isn’t extremely heavy. Even electric pianos can weigh in at a few hundred pounds. If you are just heading over to the local coffee shop to play a few songs, that probably won’t be suitable. Instead, you will probably want something in the 30-50 pound range. You are also going to want to get something with a collapsible, lightweight stand. Some pianos may come with this, and others might not. Regardless, you are at least going to want to make sure that the piano is compatible with a portable stand. Something you might not think of though, is durability. People don’t often worry about the durability of their pianos, but on the road, you might encounter abnormal wear and tear. Even a bumpy car ride can wreak havoc on a piano that isn’t ready for it. To avoid tragedy, you are going to want to get something sturdy. If you aren’t extremely confident in the durability of your keyboard, make sure you get a good carrying case. Unfortunately, sometimes the best keyboards aren’t extremely sturdy. A good case can make up for this issue. Sound is an obvious but important factor. It is also a layered consideration. In the first place, you are going to want to find something that sounds like an acoustic piano. Many lower end electric units have a very hollow, thin quality to their sound. However, the better the piano, the better the sound. The best options out there are virtually indistinguishable from a good acoustic. You also want to think about volume. Acoustic pianos don’t usually struggle with volume at all. They produce their own sound, and can easily fill an entire home with music. Keyboards are a little bit different. They depend on onboard speakers to get their music out there. Generally speaking, most keyboards are going to feature between two and four speakers. Of course, as logic would follow, more speakers usually mean more sound. There are actually plenty of two speaker units out there that produce good sound as well. For this consideration, the quality of the speaker is key. If you do wind up with something that isn’t as loud as you would like it to be, it’s not the end of the world. There are lots of external speakers out there that are low profile and produce great sound. The keyboard itself is going to have the most influence on how well you play. Ideally, you are going to get something that has the feel of an acoustic unit. Weighted keys are a staple of most good keyboards. There are even pianos out there with synthetic covers that feel exactly like the ebony and ivory of traditional keys. The more realistic the keyboard feels, the better. Perhaps you do not have any plans of getting an acoustic piano. Even if this is the case you should be able to play them with ease when the opportunity presents itself. Last but not least, you are also going to want to think about getting something with headphone jacks. Notice we used the plural there. Most keyboards come with at least one headphone jack. Fewer come with two. You may not feel like you need two, but there are benefits to having the extra slot. If you get lessons at home (or give them) you might like having the option to use headphones. The extra jack also allows you to practice duet pieces with ease, which is an option that is always nice to have. As you can see, the best piano keyboard is going to be different for each pianist. Some people may care mostly about the key interface. Others will zero in on the sound quality. Still, others are more focused on the cosmetics, looking for something that is as good at playing as it is at complimenting their home décor. The nice thing is that today’s list has something for everyone. Now, as the buyer, all that is left for you to do is to determine which of these high-caliber keyboards is best suited to your interests. Choosing between high-quality keyboards can be tough, but trust us, it is a good problem to have.